My Crafting Channel: Teddy Bear Parade #24 "Cowboy"
Teddy Bear Parade #24 "Cowboy"
Today I have for your Cute wanted card. RCS #52 - "Anything Else"
So come on and join in the fun!!! Oh, he's definitely a cutie-bear! Love him in his little cowboy outfit! I love this one he is fabulous I love the wanted poster design. Love this cute little buckaroo! Cutie patootie! What a fun card and I LOVE all your inking! Awesome! Sweet card!!! 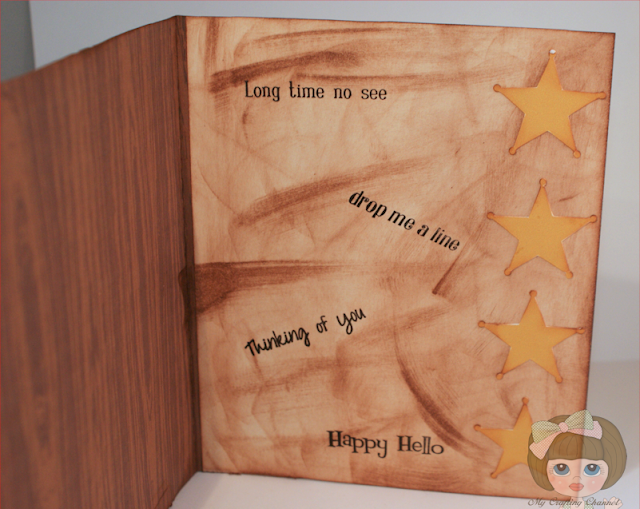 Thanks so much for participating in our RED CARPET STUDIO challenge!! Hope to see you again for our next challenge!! This is FABULOUS! 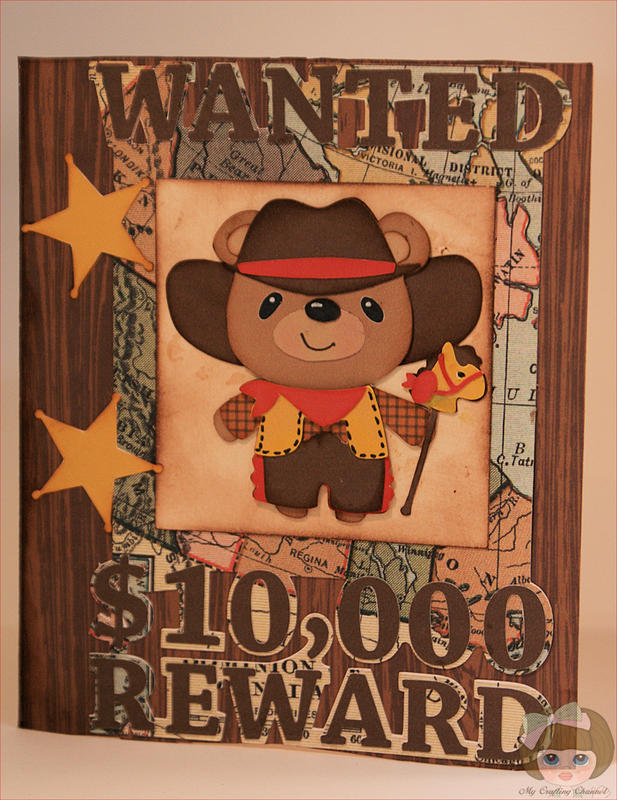 I really love this cowboy bear...so cute! The papers are so awesome and the design is AMAZING! Thanks for entering your cute bear card into our FOSTV frame it challenge. This is the CUTEST Cowboy bear that I have ever seen!!!! I LOVE it!! So Teddy was framed, was he? Thanks for playing along with the Friends of Speedy TV! Oh, he's adorable! And I love the new look to your blog! Thanks for joining us at Cameo Creations Challenges!